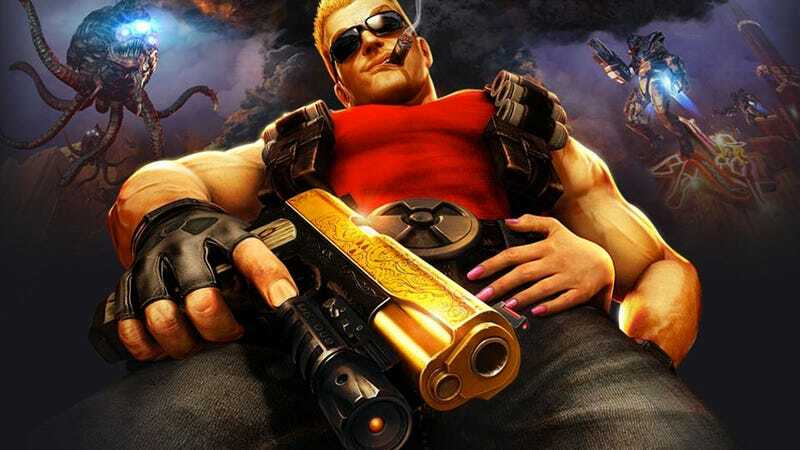 Gamers who prefer their operating systems designed by Apple will also have a chance to take a bite of Duke Nukem Forever's "pain cake" this summer, when Aspyr brings 3D Realms, Gearbox Software and 2K Games' raunchy first-person shooter to Mac OS X this summer. Having not yet played Duke Nukem Forever, I can't explain what a "pain cake" is or what it tastes like, Mac gamers, but it's part of the announcement released by Aspyr Media today. See? "We are thrilled to play a part in bringing this gaming experience to the Mac," said Michael Rogers, President of Aspyr Media. "Duke Nukem Forever represents many of the best aspects of gaming: shooting aliens, saving ladies in distress, and great tag-lines. We think Mac gamers will love taking a bite of Duke's special pain cake." The Mac version of the long in the making, critically panned Duke Nukem sequel is available for pre-order through Aspyr's Game Agent. Duke Nukem Forever for Mac will support Valve's Steam Play and Steamworks features when it hits this summer, currently sometime in August.